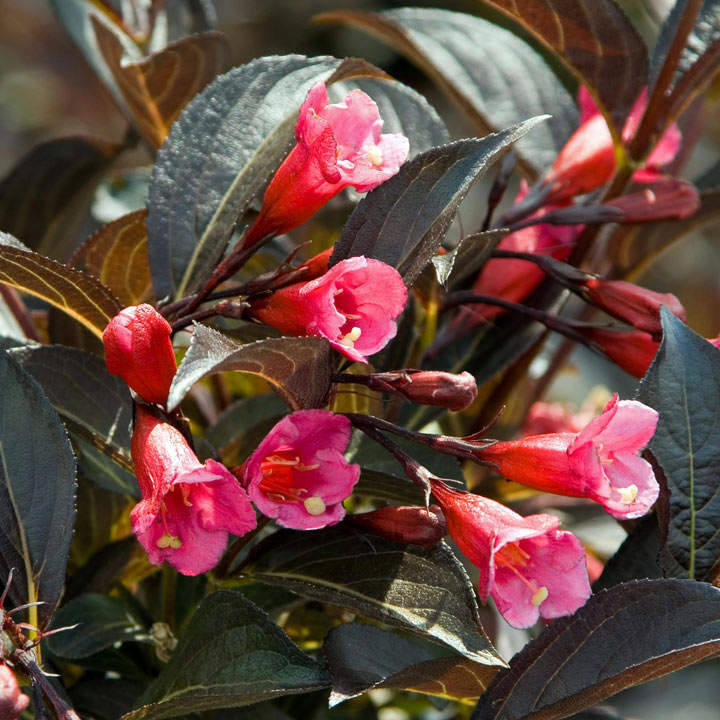 Commonly known by it’s marketing name Weigela Wine and Roses is a deciduous shrub with gorgeous burgundy-purple foliage. Flowering time: June-July. 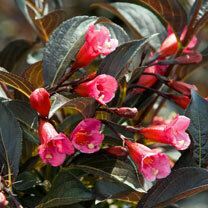 Attractive to bees and butterflies and other pollinating insects. Height 1-1.5m (3'3"-5'); spread 1-1.5m (3'3"-5'). Supplied in a 3 litre pot.